There are a few essentials pillars which are needed to build and maintain the structure of healthy and thriving body and brain. In computer talk, you have to have good hardware and software. No matter how good the software is, it’s not going to be as awesome on lousy piece of hardware. And it’s a lot easier to fix the hardware – that is the physical aspects of our body and brain. Once you have a great working hardware or an energetic body and brain, then you have the energy to bring it on and go after what you really want in life. To my mind, these are nutrient dense foods, sleep, stress and exercise. I would rate sleep nearly as high as eating a nutrient dense diet, if not higher and unfortunately it’s often sacrificed. An hour of extra browsing in the night or watching Netflix, we all do it. What I have learnt over the last year is that sleep is absolutely non-negotiable if you want to get anywhere close to your peak performance – whether that’s at work or in the gym or just feeling great. Both the quantity and quality of sleep matter. I like to get around 8 hours of sleep and for most people the range is somewhere between 7-9 hours. It’s better to err on the side of sleeping more than sleeping less. You know you have slept well when you can wake up naturally without an alarm clock and you feel refreshed. So why should you care about sleep? It's the most deeply anabolic state. That's just a fancy way of saying that this is when your body is healing, growing and recovering. Just about everything else we do during a day is catabolic (muscle wasting, tearing up tissues). Activities like mindful meditation and deep sleep are deeply anabolic. Think about this: When you walk out of a gym training session 1 hour later, you are in a much worse state than when you walked in. Yep, you heard that right. Your inflammatory markers will all be high. But if you give your body time to recover from this acute stress with good diet followed by good quality and long sleep, you will not only be better off but stronger too. So you build muscles not in the gym but later when you are recovering, especially in the deep sleep phase of the sleep. The key is to train and then recover like hell and it's nearly impossible without adequate and quality sleep. Everyone needs adequate and quality sleep but you may need it even more if you like to train in the gym or have generally a busy and hectic lifestyle. 1. Auto immune repair: In the deep-sleep phase of the sleep your body, brain and immune system work together to repair themselves. In fact immune system is learning about the stuff that has happened during the day to it and is figuring out which foods are friends and which are not or if mistakes were made in identifying harmless things as harmful and that could have triggered an auto immune reaction. So, deep sleep part of the sleep is absolutely critical. 2. Mental cognition: Another important activity that goes on in sleep is re-arranging of memory like putting the books in the library back in order. Memories get organized, categorised. This stuff is not as important as the first part and unfortunately if you don’t get enough sleep or do not get enough quality sleep, the first part is given precedence over second part because it’s more relevant for survival and so it will steal time from the phase during which we dream. So, you may not feel as sharp or fluid the next day. It’s the difference between flash drive and hard drive, information is there but there is too much seek time. 3. Hormonal reset: Hormones are reset. Think of it like a computer reboot (I simplify of course). For example, a good sleep makes you insulin sensitive and conversely a bad one would make you insulin resistant. Think about that for a second – if you want to lose excess weight, you should try to get really good sleep of 7-9 hours. So here are a few tricks I have learnt to improve the quality of my sleep. 1. Timing matters – That’s true for both when you sleep and when you eat your evening meal. Some of us are night owls but most of us should be asleep before 11 pm. I usually call it a day around 9 30 pm and hope to be asleep by 10 pm. If I try sleeping an hour later and even though I did get 8 hours of sleep, something still feels off. I track my sleep and I can see that I have had less deep sleep. So timing matters and as a basic rule of thumb, the earlier we sleep after the sunset, the better it is. It’s just how brain is hard wired and this is what we may have done for millions of years. As for meal timing, it’s common sense to get done 3 or so hours before you really want to fall asleep. You don’t really want to be digesting a steak, as awesome as it is, as you are really trying to go to sleep. No coffee after 2 pm: Seriously, no coffee after 2 pm, not even BulletProof coffee. Caffeine has a half-life of around 6 hours and so you will have still have plenty of it in your system around 10 pm if you have it late. 2. Cut down the lights- In my opinion there is way too much light in our lives especially in the second part of the day. Start turning down the lights 2 hours before you want to hit the bed. 3. F.lux: It will be naïve to think we won’t use our laptops and other gadgets in the evening. Well, just install f.lux on all the machines and devices you can. F.lux tracks the sun movement for your part of the world and will change the wavelength of the light being emanated from the device you are working on. Next point explain why this matters. 4. Blue blockers: I have myself been guilty of watching Netflix shows right up to the point I want to sleep and in spite of nearly dark room, there is still way too much light coming off the TV. And f.lux is not available on all the devices we are consuming from. Well, that’s when blue blockers come in really handy – they basically block the blue spectrum part of the light. Blue light basically messes up with hormones like melatonin which help you go to sleep. Before electricity flooded our lives with light, for tens of thousands of years, all we had as a source of light was fire - be it from a fireplace or candles. There is a reason why fire feels so soothing in the night and it’s essentially red spectrum light with longer wavelengths. 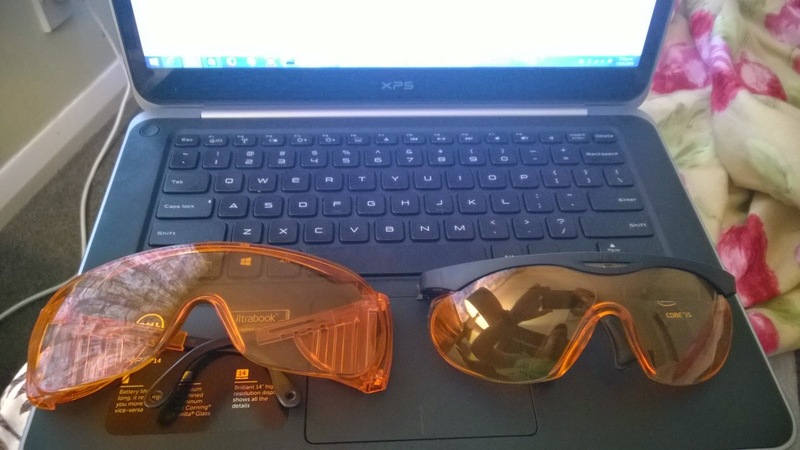 I have 2 versions of blue blockers, ones that I can wear on top of my regular glasses or a Sports model (if I am still wearing contact lenses or when I don’t need to wear my glasses like when I am reading). These can be bought from here. 5. Raw Honey – Brain uses liver glycogen (that’s sugar stored as glycogen in the liver) over muscle glycogen when we are sleep. Remember brains still pretty active while we are asleep (no rest for the wicked) and always needs a little bit of glucose for functioning. For me, especially on the days I work out, I will have a small spoon of raw unprocessed honey last thing before I go to bed. 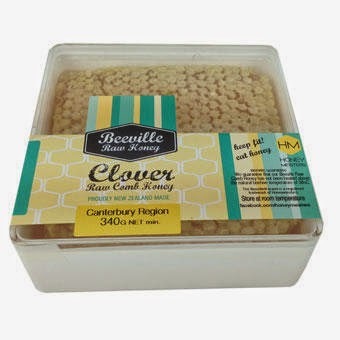 Since honey is mostly fructose, it will go to the liver where it will get metabolized as glycogen and brain should have a bit more glycogen available if it needs it. If you are someone who is trying to lose weight, use your common sense and this option may not work for you. And if it’s not raw unprocessed honey, then don’t bother. This is also one of the reasons why I don’t mind a bit of starchy foods like sweet potato or white rice in the night as they are easily digestible and brain can use this glucose because mostly my next proper meal with proteins-fats-carbs is not until 16 hours later (because most days it’s just BulletProof coffee in morning). 6. Magnesium – Almost everyone is under nourished in this extremely vital element. Magnesium is used in over 300 enzymatic processes, including all of those involved in ATP production. It’s also vital for proper transcription of DNA and RNA. It’s also needed to enhance cognition and increase memory AND promote relaxation and improve quality sleep. Both Mark and Dave recommend chelated forms of magnesium, that is those ending in –ate. Here are best forms of magnesium as recommended by Mark and Dave. 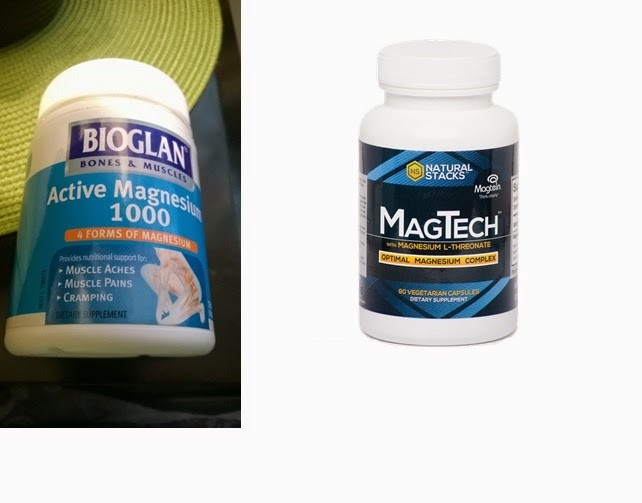 Marks Daily Apple - Forms: citrate, glycinate, or taurate The 2 brands I have been consuming are Active Magnesium and MagTech. 7. Track your sleep – No, you don’t have to spend 100 bucks on a gimmicky device and it’s easier than you think it is. I am assuming of course that you have an iOS device like an iPhone or iPod touch or an Android device. 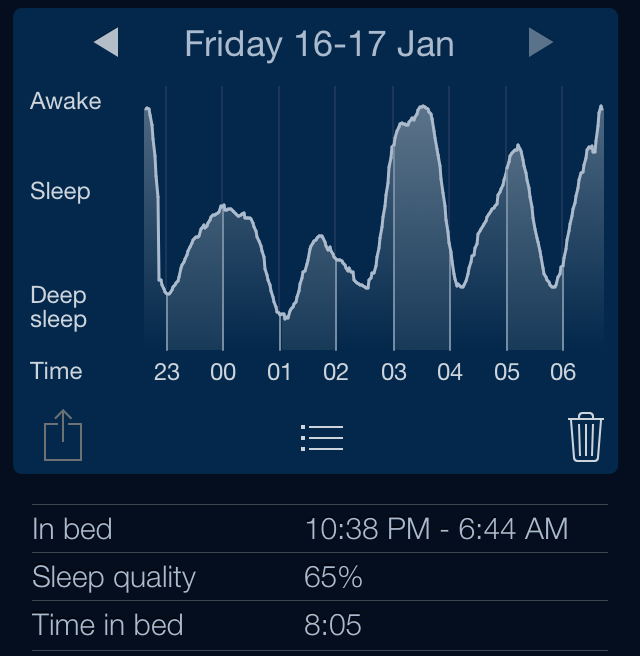 Well, look no further than Sleep Cycle app. Start this app before you go to sleep, put it next to your pillow and it will your smartphone’s sensor to track your sleep. I am amazed how well this works. Without fail, put your phone in the flight mode. The worst thing you can do it sleep right next to a wifi mobile device, right next to your brain and you are aiming for good sleep. Here is my chart from one of the nights and look at the amount of deep sleep that takes place in the first 3-5 hours of the sleep. If you still aren't convinced about the importance of sleep listen to Dr. Kirk Parsley on The Importance of Sleep. By the end of the video you will realize that sleep is more important than you think it is. A lot more important.